Kirby Evans cancer survivor Forks Pit Stop disfigured face drama. 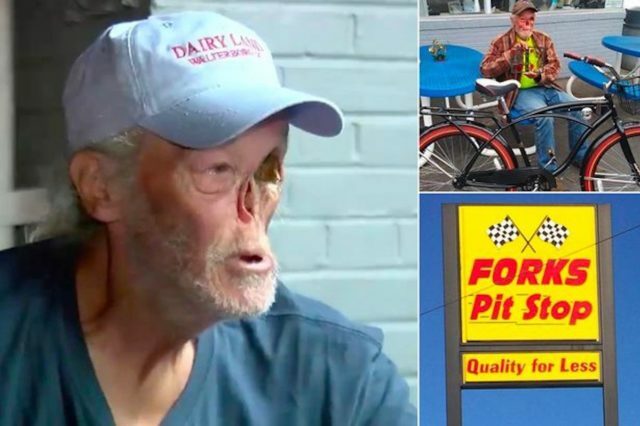 Kirby Evans cancer survivor Forks Pit Stop disfigured face drama: South Carolina man mortified after accosted by store owner, Donna Crosby. A cancer survivor has told of being humiliated after being asked to leave a South Carolina gas station because of his ‘offensive’ appearance. 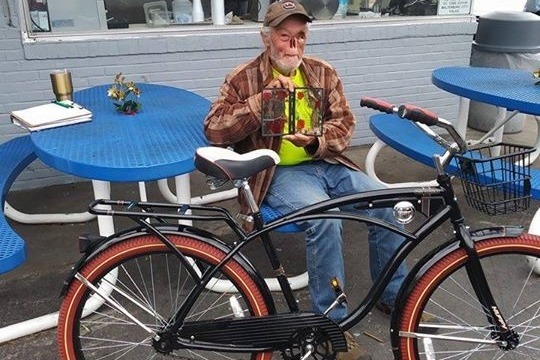 According to Kirby Evans’ daughter, Brandy, the woman’s father was picking up food at Forks Pit Stop in Walterboro, when the 65 year old was discriminated against on account of his disfigured face. The incident according to the daughter led to her father being mortified and leaving the gas station in tears. Kirby Evans cancer survivor. Image via GoFundme. Kirby Evans survived skin cancer, but lost his eye and his nose to the disease. Evans says a South Carolina store owner told him he must cover his face if he wanted to eat in the store. Kirby Evans cancer survivor: saddled by his inability to afford reconstructive surgery. Abcnews4 reported Kirby forced to have surgery seven years ago to remove basal cell carcinoma, a type of skin cancer caused by an uncontrolled growth of abnormal cells arising from the squamous cells in the epidermis, the skin’s outermost layer. Since the incident, Brandy created a GoFundMe for her father. As of Saturday evening, EST, $67,446 of a $75,000 goal had been raised. Forks Pit Stop has declined scallywagandvagabond.com‘s overtures for media comment.